Maintaining a healthy and beautiful smile is not always as easy as it sounds. Surgical procedures may be necessary after a periodontal disease diagnosis if it is determined that the surrounding tissue of the teeth cannot be repaired with non-surgical therapies. By postponing needed surgical procedures associated with periodontal disease, you run the risk of further complications that can result in tooth loss or the need for more invasive surgery. Dr. Salamati offers many surgical procedures to maintain the health of your teeth and gums to keep you smiling proudly. While non-surgical therapies can address the beginning stages of periodontal disease, they cannot always correct more advanced periodontal conditions. 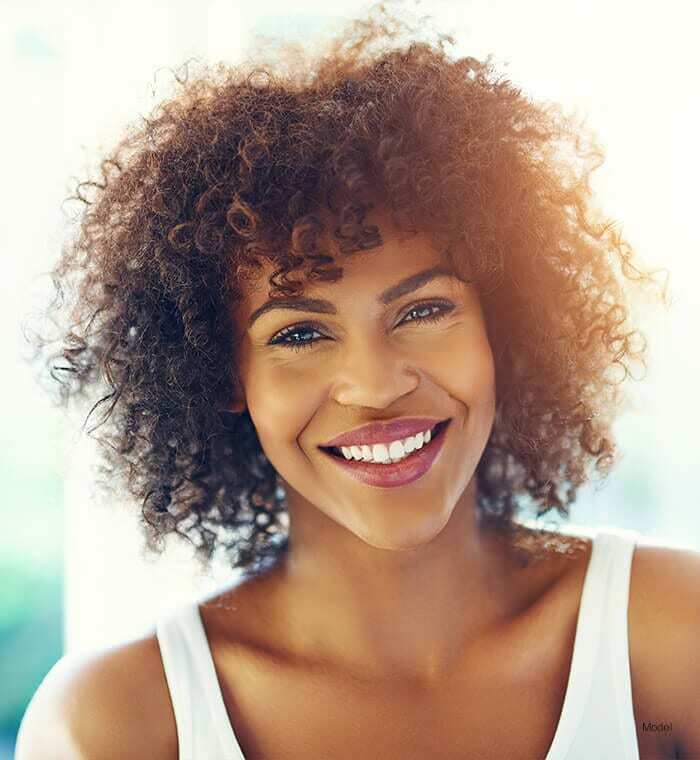 Surgical procedures can not only address and reverse the negative effects of periodontal disease, they can also result in a more aesthetically pleasing smile. Pocket reduction, also known as osseous surgery, removes tartar and disease-causing bacteria that lead to advanced stages of periodontal disease. This surgery reduces periodontal pockets by trimming away the infected gum tissue and reshaping the bone. Osseous surgery reduces the spread of bacteria, prevents bone loss, and enhances your smile and self-confidence. Guided bone/tissue regeneration is an alternative to pocket reduction. Here, pockets are thoroughly cleaned, bone graft is placed, and a thin membrane is inserted between the soft tissue and bone; this blocks the growth of the soft tissue so that the slower-growing bone can regenerate. Candidates for this procedure must be willing to follow a strict postoperative diet and perform careful oral care. Guided bone/tissue repair stabilizes endangered teeth or prepares the jaw for dental implants. Your gingiva (gums) recede as the periodontal disease progresses. This recession causes your teeth to lose their natural defense against bacterial penetration and trauma, and it also increases your tooth sensitivity. Soft tissue (gum) grafts take a piece of tissue from the roof of the mouth to cover the receding area and protect the root surface. Crown lengthening is performed for aesthetic reasons; when teeth are covered with excess gum tissue, it may detract from an aesthetically pleasing smile. This procedure corrects a gummy smile by reshaping, trimming, and recontouring the gums to create a new gum-to-tooth ratio. Crown lengthening allows for more of the tooth to be exposed and can be performed on one or many teeth to improve both function and aesthetics. Why is it important to keep bacteria from spreading? If not treated, the bacteria in your mouth can spread throughout your body. This bacteria can result in a higher chance of life-threatening conditions, such as heart and respiratory diseases. How is pocket reduction performed? A pocket reduction procedure is performed under local anesthesia. Incisions are made around each affected tooth to release the gum tissue and allow for access to the bone and tooth roots. The roots are then cleaned, and the bone is reshaped to remove any excess bone or to fill in large defects. The remaining gums are draped over the bone and sutured in place. How do these periodontal pockets form? Periodontal disease destroys the tissue and bone surrounding the teeth. This loss of tissue and bone results in “pockets” that collect bacteria. Are there surgeries to enhance the aesthetic appearance of my smile? While many surgical therapies address the negative effects of periodontal disease, aesthetic concerns can be handled with soft tissue (gum) grafts, aesthetic crown lengthening, ridge preservation, and dental implants. How can I prevent the need for surgery? Proper at-home oral care combined with routine check-up visits to your dentist will help prevent the need for surgery. Proper oral care means brushing and flossing at least twice a day and visiting your dentist twice a year.